When the Statutory Off-Road Notification was originally introduced it was a fun set of new bits of legislation, but reading them carefully at the time it specifically allowed you to "notify" that a vehicle was off road, and hence remove some of the obligations for having the vehicle taxed and insured. However, specifically, a SOR notice did not actually stop your vehicle having vehicle tax. It was, as I read it at the time, quite valid to have vehicle tax and be off road, thus removing insurance requirements. And if you only needed to be off road for a short period this was a lot less hassle, and could even be cheaper, than getting a partial vehicle tax refund and re-taxing when back on the road (and insured). Back in those days you could easily prove you had tax as you had a real tax disk. I can only assume they have changed the law, as it seems that sending a SOR notice causes you to get a partial refund of the vehicle tax and no longer be taxed. I am trying to find my way through the minefield of the legislation changes to work it out, and see if one can declare a vehicle off road without cancelling/ceasing the road tax. So far I am failing to find the details that cover this specifically. The problem is that, without an actual "tax disk", they can say you are no longer taxed and you have no proof otherwise. The reason this came up is my daughter did declare her vehicle SORN for a short period, in the middle of the year, having paid for a year's road tax in January. And was apparently unaware that this meant she no longer had road tax. After all, she paid for a whole year, why would she not have road tax for a whole year? Now, I can understand that some people may well want to declare SORN and request road tax be stopped and partly refunded - maybe that is what she inadvertently did. The "form" that DVLA have is an "application" of some sort and not simply a "notice" now. Something to try and find out for sure, and next time only send the notice, and not apply for the vehicle tax to be stopped. Something to watch out for if stopping and start tax is that they only work in whole months. If you stop it on the first of the month and start it again on the last day of the month you will end up paying for the whole month TWICE! Families have come unstuck with this when transferring registration from one family member to another - a nice little earner for the DVLA! Really puzzles me why they changed that aspect - why not have the vehicle taxed to a date, and that is it - why make it stop on change of keeper. It is not as if it saved them money by double billing as they have higher admin costs instead. According to https://www.gov.uk/government/news/vehicle-tax-changes the VED is cancelled, and if you are due a refund it is sent out, once you have made a SORN. Where is the legislation reference for that though? "“the required declaration” means a declaration made to the Secretary of State by a person surrendering a vehicle licence or the keeper of a relevant vehicle to the effect that (except for use under a trade licence) he does not for the time being intend to use or keep the vehicle on a public road and will not use or keep the vehicle on a public road without first taking out a vehicle licence (or if appropriate a nil licence) for the vehicle;"
So making a SORN means surrendering the "vehicle licence" (ie the tax disc). Obviously you no longer get a physical vehicle licence to display in the windscreen, but the principle still appears to stand. There is an "or", it is (a) the person surrendering the licence, or (b) the keeper of the relevant vehicle. It does no actually say you are surrendering a licence. But yes, interesting, the SORN is listed in 26 as specifically when licence is being surrendered, etc. Maybe I missed something when I first looked at these rules. Not sure why you link SOR with insurance? If the vehicle isn't on the road you don't have to have insurance irrespective of whether you've declared it off road or not? In fact I'm not even sure if there's an issue with keeping an uninsured car on the road anyway? Scrub that - I've just read up on CIE. Heads they win, tails you lose! Sell car on 15th July, I get refund from August onwards if paid beyond July. New owner gets to pay from 1st July all over again. I wonder whether there would be merit in dropping the direct taxation altogether, and moving the burden onto insurance companies (to be recuperated from the premium holder)? Insurance companies already have technical specifications about the vehicle they insure, including CO2 emissions, so it would be trivial to calculate the correct rate of taxation. Just include this in the annual insurance premium, pass it directly onto the consumer, and the whole "problem" of taxing vehicles goes away. A vehicle can't be driven without insurance, a vehicle that is off road arguably doesn't need insurance (unless the owner opts for fire and theft only cover), so why not combine the two? There's a big loophole for the rich there (and for fleet owners, if you're not very careful how you phrase it) - you don't need insurance to drive on the road if you're willing to deposit a suitable sum with the High Court (currently £1,000,000). If you do that, you don't need to insure any of your vehicles. As a concrete example, the coach that takes me to and from work is not insured, nor is the van they send out if the coach breaks down en-route and needs repair. You'd need some system to collect the premium from GoVia as well as from insurers to make this work out. @rtho752 If you are a fleet operator you can just upload your fleet details to the MID... the same applies to motor traders, you simply logon to an Experian MIDUpdate and submit the details of the vehicles that need to be on your policy. Now tell me who you would trust... a professional fleet operator or some second hard car dealer with a traders policy giving them block cover... you do have to wonder how many cases there might be of people handing over brown envelopes to have their vehicle listed in the MID so it doesn't then ping up on ANPR! SORN was originally designed (2002 or earlier) just to allow one to avoid paying VED. It looks like introducing CIE (2011?) to the SORN process has rather screwed things up. There seems no way to tell DVLA not to refund unused VED. Here's a thought experiment. Declare SORN, supposedly because you'll have a break of a week or so between insurance policies. Ensure this break is entirely within one calendar month. 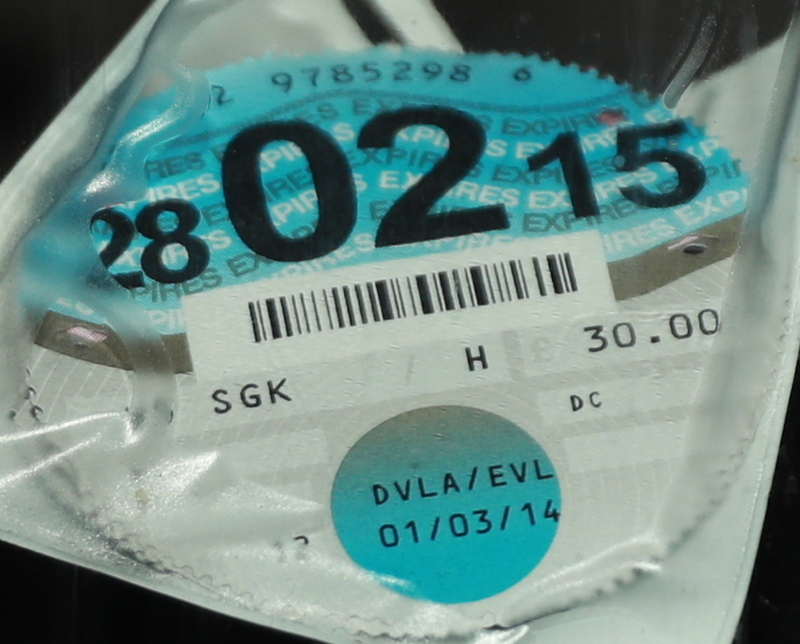 DVLA will issue an unwanted VED refund for the unused months. A week or so later, retax the vehicle from the start of the next month. When DVLA refuse, stating you have to tax the vehicle from the start of the current month, argue that you have already paid for that month and it was their fault for refunding VED.